In the late 60’s, Arnie Nudell developed the servo-controlled bass system and founded Infinity to produce his first brainchild, the Servo Statik I. 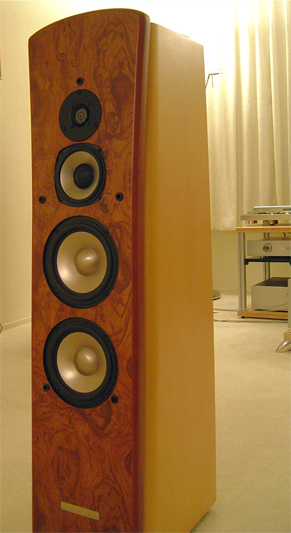 Ten years later, his creation of the 4-column Infinity Reference Standard set a standard so far ahead of its time that it created a new market for the high-end loudspeaker. 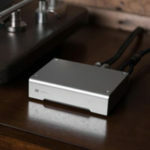 Audiophiles near and afar all agreed that the IRS set the original, inimitable benchmark despite imitations and latter reiterations of his accomplishment by Infinity and its competitors alike. Then, Arnie founded Genesis in the early ‘90s and developed the Genesis I, which has evolved into the current G1.1 with the reorganized Genesis Advanced Technologies Inc. Now, as the Chief Scientist of GATI, Arnie continues to refine the company’s legacy products and develop new ones such as the $165k Genesis 1.1, the $52k G201, the $16k G5.2, the $12k G6.1, and the subject of this review, the $6,625 G6.1e. Genesis’ discontinued $9k system, the Genesis VI from the mid-90s, has been the cornerstone of my system for over 5 years. A less ambitious version of the original Genesis company’s $15k 4-woofer 800-watt Genesis V, the G VI was given 3 woofers and a 500-watt bass amp. 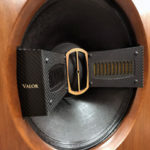 For all practical intents, the VI constituted a scaled version of the company’s mightiest, and at the same time a resounding alternative to audiophiles like me with a smaller room and a lighter budget. “Outside of the USA, most rooms and houses are built of brick and concrete. Because of that, there is practically no bass loss from the walls of those rooms. When the G6e is used in Asian or European homes, it delivers sufficient bass to render the lowest E-string of the double bass WITHOUT a subwoofer. Natural room bass gain is sufficient for the G6e to deliver all the bass you will need for normal music. Though passive and less ambitious, the G6.1e uses components and design elements amounting to a masterpiece. Most renowned in the audio industry is the G6.1e’s circular ribbon tweeter that Genesis developed in the 90s. Constantly refined, it uses a kapton membrane with a 0.0005-inch thick photo-etched voicecoil that is lighter than the air it pushes, enabling a frequency response that extends beyond 35kHz. It would seem that Genesis has had the means to accommodate SACD even before its emergence. Besides the 5-inch titanium midrange driver and the two 6.5-inch aluminum woofers, the G6.1e’s crossover is a matter of pride at Genesis, as they claim to have invested more into its design than other companies have in their entire speaker. Instead of using single, monolithic capacitors in the G6.1e, Genesis uses numerous costlier polypropylene-film and tin-foil capacitors in parallel, to maximize signal integrity, plus OFC copper-wound inductors, resulting in a crossover weighing over 5lb. Then comes the Genesis cabinet. Per the G6.1e Owner’s Manual and Set-Up Guide, no less than 6 professionals were involved in its creation, including Arnie himself, a structural furniture engineer, an interior designer, an architect, veneer and glues consultants and a German CNC machining consultant. Genesis’ CEO, Gary Koh, provided the final eye on cabinet aesthetics and functionality. • The sides of the cabinet are sloped 1˚ top to bottom. • The sides of the cabinet is angled 3˚ front to back. • The front of the cabinet leans backward by 5˚. In spite of higher cost, Genesis selects MDF of specific thicknesses instead of solid wood for greater consistency in cabinet construction. The drivers are installed on a subtly sculptured baffle two-inches thick. Areas of the cabinet most prone to vibration are equipped with multi-layered, bonded MDF of 2-inch thick. Extensive internal bracing in tongue application and groove construction via 1-inch MDF slabs are applied to eliminate cabinet flex and panel resonance. As a dipole radiating sound waves from its front and back, the 14-inch deep G6.1e benefited from having 5 feet of breathing room to its back, similar in proximity to the 20-inch deep, discontinued G VI. With such configuration, the G6.1e’s resultant ambience rendition was already exceptional among standard box speakers. Contrasting all speakers I’ve used and in consistency with the G VI, the Genesis 6.1e provided equally compelling sonic impressions in different positions. In my 12-foot wide 27-foot long room, separating the speakers at a little over 6 feet from each other with mild toe-in, fashioned an expansive sound-scape with distinct instrument localization. When pulled to within 5 feet of each other and firing straight ahead, the $6,625 speaker also effectuated effective imaging, albeit with an approximately 10% reduction in soundstage expanse. Neither positioning called for installation of sound absorptive materials on the side and front walls. Perhaps the G6.1e’s new crossover network has netted it a positive, audible gain over the G VI’s earlier version. Consistent with their belief in making their designs as adaptive as possible, Genesis has equipped the G6.1e with rear-panel Tweeter and Midrange output level control, similar to those on the G VI. Yet, even when the controls were left at the same 12 o’clock middle position as set on the G VI, the G6.1e’s tonal balance already manifested a surprising gain in spaciousness over the G VI. 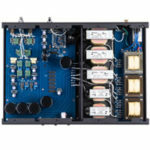 Furthermore, when driven by the $2,195, 120 Wpc/4Ω, remote-controlled Roksan Caspian M Series-1 integrated amplifier, I’ve found the G6.1e’s Tweeter and Midrange at medium output to impart a sound that was spectrally coherent, highly conducive towards extended music listening sessions. With judicious adjustment of the speaker’s tweeter and midrange outputs when playing in rooms of differing acoustics, I believe Dagogo’s readers will also be able to obtain the same balanced sonic qualities that the speaker has to offer. In terms of power requirements, Roksan’s Caspian M Series-1 proved to be a most exceptional value in accompanying the 89dB/4Ω Genesis, allowing the speaker to highlight the caliber of the $6,995 Crystal Semiconductor CS43122-based 24-bit/196kHz Audia Flight CD One CD player. A sense of spectral coherence permeated throughout the listening sessions, and instances of tranquil transcendence raised my curiosity towards the speaker’s ultimate potential. Fast and yet mild tempered, the Roksan/Genesis combination sounded altogether Britannic by the forthrightness in tonal distinction and a touch of warmth in lower midrange. Listening to the thus-infused G6.1e in a chamber orchestra recreation of Vaughn Williams’ Fantasia On Greensleeves (Orchestral Favourites – Vaughn Williams, Nimbus NIM5019 William Boughton/English String Orchestra, Nimbus 5019, cover is of the latest edition) and a vocal rendition of the Samuel Barber quintessential Agnus Dei (Bernstein Chichester Psalms, Hyperion CDA 66219), I thought the Genesis an American transducer of unexpectedly refined bearing and of unprecedented value. In the reenactments of all music types, no aspect of the Genesis 6.1e was found wanting by its lack of the G VI’s servo-subwoofers. Then, the stakes were raised and the $18,000 Audia Flight PRE and 100 amplification system swung into action. What the $6,625 Genesis G6.1e had shown me thus far did not prepare me for the effects to follow. The Audia Flight 100’s 16 IGBTs (Insulated Gate Bipolar Transistor) per channel have wrought magic with all speakers in my household, and the Genesis 6.1e underwent a metamorphosis of sorts swiftly under such might. Responding to the Italian solid-state amplification, the Genesis 6.1e launched the most colossal performance in tonal density and dynamic scale. The fue (Japanese flute) and taiko in “Snowy Morning” of the JVC XRCD Ondekoza: Dotou Banri [Long Journey of the Surging Wave] (JVC XRCD2 SVCD-1027) through the dipole speaker was infused with such contrasting tonal distinction and dynamic variance, that the seemingly frail woodwind became even more so opposite the now-apprehensive taiko. The Genesis revealed the perspective that, rather than a supposedly complementary role, perhaps the taiko was to dominate instead. The G6.1e would not be a Genesis were it reluctant to reproduce the high-decibel dynamic excitement in the form of four taiko’s playing concordantly in “Tou-Tou”. In this track, the four taiko’s were rendered with remarkable definition to convey a communal undertaking unlike any I’ve heard in Western music. In reproducing the intensity and urgency of the heavy-metal Metallica (Elektra 9 61113-2), the G6.1e presented an unrelenting surge of decibels with composure in reproducing the powerful “Enter Sandman”, as the Genesis’ twin woofers proved how powerful and controlled Lars Ulrich’s drumming was. Yet, even the Ondekoza and Metallica experience did not prepare me for the Genesis sound when the speakers were partnered to the company’s own $2,600 G928 Servo-subwoofer. Linked via the 6-foot stereo pair of Genesis subwoofer jumper cables sent to me for this specific application, a 40Hz-adjusted G928 in league with the G6.1e worked themselves into recreating a dynamic and spectral scale that was utterly surreal in the confines of my seemingly shrunken listening room. In terms of ultimate dynamic prowess, although the discontinued G VI has had no equals in speakers costing less than $10k, the G6.1e raised goose bumps in the confines of my listening room nevertheless. The Genesis G6.1e and G928 system constituted a level of performance in dynamics and spectral extension surpassing all speakers I’ve heard in the sub-$10k range. The G6.1e was an authentically full-range loudspeaker for all musical intents and purposes, dispensing with the need for a subwoofer; but the addition of the matching G928 Servo-subwoofer augmented the G6.1e’s performance envelope and room-filling ability to incredible heights. Thus, the G928 should be considered as a natural progression in bringing about a more wholesome experience from the G6.1e. The all-passive G6.1e was born of a powerful combination of Arnie Nudell’s ingenuity in the creation of the circular ribbon, which gave the G6.1e such advantage in top-end rendition, and Gary Koh’s insightful vision of the speaker, which gave the speaker such universal appeal. Coming from an illustrious background in loudspeaker designs, Genesis Advanced Technologies enters the traditional loudspeaker market with a strong product that will draw envy from many. In contrast to many of its competitors’ creations with an acute emphasis in consumer psychology and marketing, Genesis gives us a low-keyed and décor-friendly loudspeaker of astonishing technological precision. To audiophiles among us who had longed to own a pair of Genesis, as well as the Dagogo readers on the lookout for a solid product and a best buy, treat yourselves to an audition of the G6.1e soon. Thank you for yet another comprehensive and exuberant review. 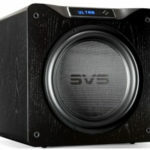 As you noted, the G6.1e is designed for smaller rooms, and also for the international market where hard walls mean that there is no loss of bass. The addition of just a single G928 would result in an absolute fidelity™ speaker system – one that would have the full frequency response from 18Hz to 36kHz.